Paul Funfsinn is co-founder of Celebrating Life Ministries with Ron Roth. Paul is a powerful teacher who has empowered many to realize a God of Love and to know their own innate healing gifts. Paul has modeled a life of pure love, service, and devotion. Leading prayer & healing services is his strength where signs and wonders follow. An ordained minister of spiritual healing, Paul has studied and worked along side of his spiritual mentor, Ron Roth, for over twenty-eight years until his passing. 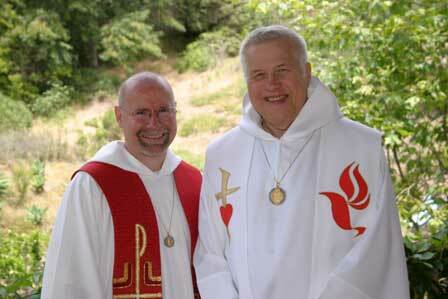 Paul is a professed monk in the Spirit of Peace Monastic community. "I was feeling very disconnected with God, Paul gave me hope and helped me to reconnect with what was always there. Thank you Paul and God Bless! 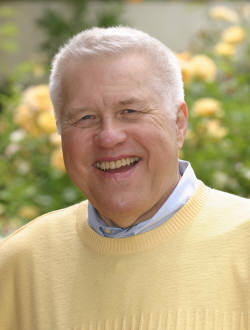 Ron was the author of The Healing Path of Prayer; Prayer and The Five Stages of Healing; Holy Spirit: Boundless Energy of God; I Want to See Jesus in a New Light: Healing Reflections for People of All Faiths; Holy Spirit for Healing: Merging Ancient wisdom with Modern Medicine; and Reclaim Your Spiritual Power. He did recorded numerous audio and videotapes, CDs and DVDs. 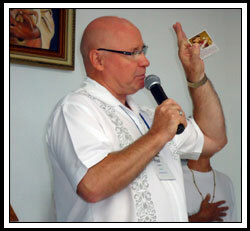 *Ron Roth Spiritual Shepherd Emeritus passed away on June 1, 2009. He will be missed greatly by his community and friends.